Pressurised ink cartridge for the Fisher Space Bullet Pen. wrong one was purchased, website was unlcear spent ages on there and thought I had it right but not to be. It’s great that refills are available. Great product, a refill for my fisher bullet. Thank you. Terrific item....purchased for a special birthday, so glad refils still around. Already have - what do want a ****** essay ? 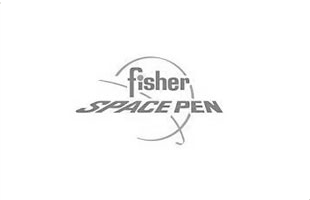 I have had a Fisher Spacepen since 1985. the new one is a rerplacement. I bought the other as a21st Birthday present for my son. Love this pen and this is a perfect place to purchase the refills. great service for a great pen! Very good - my third one. Space Pen comes with a 'black' ballpoint. I prefer to use blue normally, so use the 'blue' refill. Keep the black for use on forms that specify 'use black ink'. Refill and original are both the same high quality. Brilliant as I expected it to be. A great product and brand I have used for years. item ,good quality pen. does what description say's. handy for writing as it will write at awkward angles.ink flow is good . Been using a Fisher pen for a couple of years now and refill is only a backup as its still writing well. Well, I got what I wanted. Since buying a Space pen several years ago, I find it invaluable. I like to do crosswords and Sudoku in bed and it wastes such a lot of time with an ordinary pen, keep having to scribble and shake the pen to get the ink to flow is very annoying, and good delive43ry servic3e from Pen Heaven! Thanks.